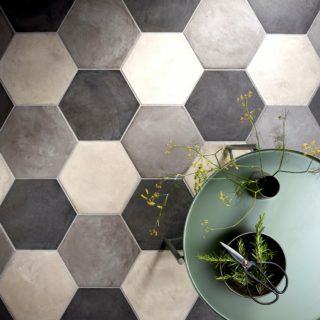 A stylish tile collection playing on the trends of monochrome and shape, coupled with a vintage feel. Suitable for both floors and walls. These décor tiles are supplied in a random mix of the designs. Monochrome Base and Monochrome Decor can be purchased and used separately or combined to stunning effect. 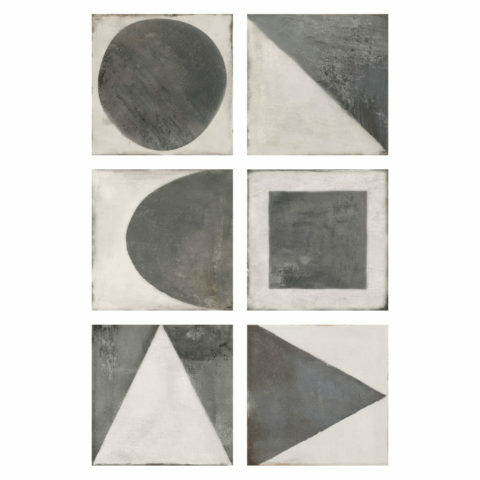 Monochrome Decor is sold by the tile and the six designs are supplied randomly. All tiles within the Monochrome range are non-rectified porcelain.